Trillium’s management team has over a century of combined vacuum industry experience and are focused on building and growing an innovative, customer-centric organization. They are completely dedicated to learning your business, your particular goals and challenges, and ensuring your team’s success. 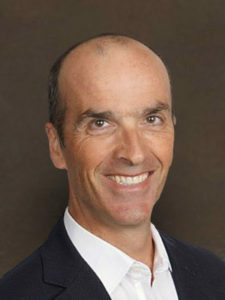 Graham Stone is the President and CEO of Trillium, responsible for the vision and strategic direction for the business. He founded Trillium in 2002, after 15 years at Edwards. Graham is most excited about leading entrepreneurial businesses that are highly responsive to customer needs. As such, he saw an opportunity to service the vacuum industry with the stability and quality standards of a large organization, with the flexible, local and customer-first orientation of a smaller business. Under Graham’s direction and with his outstanding management team in place, Trillium has become a major player in the vacuum industry and the fastest growing independent service provider in their field. Graham is a UK transplant and nationalized American citizen, living in California. He and his wife love to travel, having recently done the Inca Trail in Peru as well as cycled the Danube. Travel is a family value; both his grown children are leveraging their native language to explore the world. His daughter teaches English in Japan and his son teaches English in Ecuador. His favorite mode of travel is cycling, and his dream involves wide open spaces, and self-propelled transportation. (You will see that this is an ongoing theme for our management team.) Specifically, Graham and his wife would like to bike across America, as well as cycle the length of Japan. 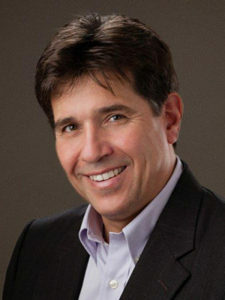 Al Citarella is Trillium’s VP of Engineering and Manufacturing. Al has been in the industry for over two decades, as he originally founded United Vacuum which was acquired by Trillium in 2012. Previous to Trillium/United Vacuum, Al founded a series of small, manual labor firms including a church restoration firm, then an oil delivery and repair firm, finally deciding on the vacuum industry which has been his passion for 20 years. Al most enjoys working with his hands, specifically visiting clients to help them find profitable hands-on applications of Trilliums technology, as well as working with the entire Trillium team. He is most impressed with Trillium’s customer-first philosophy, even when it means less profit for Trillium. For example, take a hinge bar – a simple but important component to a client’s vacuum system. Trillium is unique in their manufacturing approach for Hinge Bars which includes a chrome molly alloy, forging, and then several heat-treating rounds. The end result is more longevity, which means better quality for clients. Al lives in Warwick,, NY, with his wife of 30 years and his twin 15 year old daughters. As a family, they enjoy summertime visits to the Jersey Shore. Al also like golf, cooking, and working on cars. Especially the track car he built and races from time to time. His dream is to rebuild a classic muscle car from head to toe, every nut and bolt, and then take it…to go get ice cream with his family. Rob Breisch is our VP of Sales and Marketing and has been with Trillium since 2002 when we were just starting out in Wilsonville, OR. Previous to Trillium, Rob served in the Air force as a logistics officer. He received his Master’s degree in economics, and is still in the Reserves, teaching at the US Air Force Academy in Colorado Springs. Rob focuses on working with our customer-facing employees and systems, and our brand. Rob enjoys learning about our customers’ specific applications and challenges, as well as finding ways to maintain and enhance the customer experience. Rob has lately been working on several projects to increase efficiency at our customer’s manufacturing plants. Recently an aerospace customer requested a quote on rebuilding existing pumps, but through a discussion and on site audit, Rob learned the customer’s pumps were likely not to be rebuilt economically and also were not optimal for the application. Using his expertise and knowledge, Rob was able to recommend a replacement pump for the customer, which resulted in the customer experiencing much faster pump down times on a very large chamber as well as commonality with other pumping systems used throughout the facility. Glen Murray is Trillium’s GM and VP of Operations, overseeing Trillium’s Manufacturing and Service operations as well as Quality, Finance, IT and Human Resources. 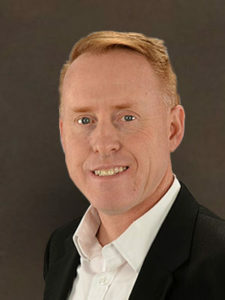 Glen joined Trillium in 2008 after 18 years in the industry. Glen was recruited by our founder, Graham, to join Trillium’s executive management team focusing on exceeding client expectations in a Service driven business environment. As VP of Operations, Glen focuses and drives the Companies Continuous Improvement. He passionately believes in the ethos of things only get better if we do something different. Traditional Quality standards like ISO 9001 drive a good outline and standards to hold ourselves to but real improvement comes from driving change, a focus that has proven invaluable during Trillium’s quick growth and expanding footprint including 3 US-based service centers and acquisition of other firms such as Austin Scientific. Glen is a UK transplant living in California for over 20 years. He loves everything outdoors including camping, fishing and sailing. Glen indulges his interest in naval architecture by designing, building and racing radio controlled model yachts. His dream, however, involves sailing a full-size yacht across an Ocean (Atlantic or Pacific – he’s not picky) and then sailing back up the river Crouch in Essex England to where he grew up, anchor, sit back and crack a beer. 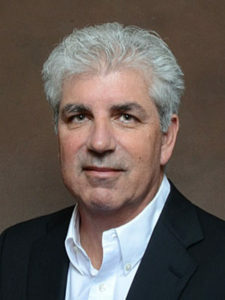 Donald is the Business Director – Cryogenic Systems, responsible for the overall operation and performance of the Cryogenic side of the Trillium business. Donald is a Fellow of the Institute of Mechanical Engineers (IMechE), and brought his decades of industry experience to Austin Scientific in 2006. After his instrumental role in Trillium’s acquisition of Austin Scientific, Donald joined the Trillium team in 2015. Donald enjoys the challenge of finding solutions to difficult problems. For example, customers operating cyclotrons for proton therapy are not able to send out their equipment for routine servicing since the equipment remains radioactive. Rather than require customers to buy new pumps each time there was an issue, Trillium instead created a custom solution for these customers, offering them very specific training, custom-milled tooling, and repair kits so that they can undertake the work themselves. This saved these clients significant money and increased their equipment’s uptime. As much of our management team, he is a UK transplant to the US, now living with his wife in Austin, Texas. In his free time, Donald enjoys outdoor activities. He spent 5 years in the British Ski Team competing in World Cups before going to college. He now rides bikes, clocking in about 5,000 miles a year on his road and mountain bikes. He has also kitesurfed for more than 15 years, long before it was trendy. Like his fellow small island natives, his dream involves exploring wide open spaces in a personal craft. In his case, driving an RV around Europe, Asia (and maybe further) for 6 months. Mike Cole sits on Trillium’s advisory board, focusing on strategic development such as acquisition targets, new market opportunities, and new initiatives. 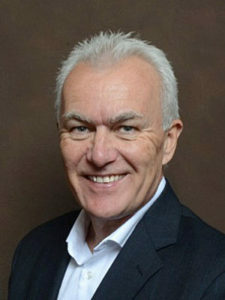 Mike has been in the vacuum industry since 1983, was formally President Vacuum Technology, BOC Edwards USA. He has known our founder Graham since the mid 1980’s, when they worked together in the UK. Mike lives with his wife on Cape Cod. He has three children scattered from Australia Sydney and Cairns to Denver, Colorado, and one grandson. He enjoys traveling abroad, keeping fit, and watching rugby. Internationally, he is loyal to his native team of England, but domestically his favorite team is one he used to play for: Mystic River based in Boston. He will proudly tell you his team recently won the US National Championships. Like his other UK counterparts, Mike dreams of a grand exploration trip. However, his dream involves considerable risk: taking a sail boat through the Northwest Passage.